Sadia Anjum, a housewife living in the Rampura area of the capital, started panicking the moment she heard about the news of proposed gas price hike. “In 2014 I used to pay 450 taka per month for my two-burner stove. But now I am already paying 800 taka per month. The cost of other utility services was increased as well due to that increased gas price, but there was no considerable change in our income. Now, if the government increases the gas bill, it will be hard for us to live here in this city comfortably,” shared Sadia while talking about the proposal of gas price hike. Sadia is not the lone example in this regard rather all of the people belonging to middle and lower class are worried over this issue. Usually most of the middle and lower income families in the capital cannot even manage any savings at the end of the month due to sky-rocketing price of daily commodities. They unquestionably depend on their monthly income to pay different bills such as utility bill, household rent, tuition fee of their children and medical expense. Under such circumstances when people are living from hand to mouth, another hike in the gas price is going to do nothing but add to their burden, especially for the middle and lower class people. It is known that the gas distribution companies have placed a proposal for increasing gas tariff to curtail the subsidy that government provides to this sector. According to a report of PetroBangla, the government-owned national oil company of Bangladesh, every year the government has to loss Tk. 24,540 crore in LNG imports. Thus the distributors are seeking 102.85 percent rise to make up for the losses they have to incur for importing Liquefied Natural Gas (LNG). According to the new proposal made by the gas distribution companies, consumers having a single burner stove will have to pay 1,350 taka per month instead of existing 750 taka, while the two-burner stove users will have to pay 1,440 taka per month instead of 800 taka. On the other hand, the consumers who have been using prepaid meter will have to pay 16.41 taka per cubic meter (each unit) instead of 9.10 taka. The proposal also says that, the per unit cost for power plants will be Tk 9.74 from Tk 3.16, while fertiliser factories will pay Tk 8.44 per unit instead of Tk 2.71. They proposed raising the tariff by 50 percent for CNG to Tk 48 per unit from Tk 32 while cost of commercial use of gas to Tk 24.05 from Tk 17.04 per unit. It is mentionable here that if the Bangladesh Energy Regulatory Commission (BERC) increases the gas price, this will be the seventh time of increasing gas price in the last 10 years. In its previous hike in February 23, 2017, the BERC had raised natural gas tariff by 22.70 per cent for all types of consumers which was made effective in two phases. From our past experience it is clear that if the gas price increases, it will directly affect other utility bills as well. For example - unrest in the transport sector is sure to emerge as increase of gas price will invariably lead to a rise in the fare. Then if the power plants’ overall cost increases, the power price will be increased ultimately. Fertilizer factories will also manage the extra cost from the farmers’ pocket and consequently the rise of farming cost may bring havoc in the agricultural sector. The businessmen will raise the price of goods and services to cope up with the rising cost of gas. So at the end of the day, it will be the general people who will have to bear the burden of the gas price hike in every sphere of their lives as they will have to pay for everything. On the whole, it is definitely going to affect people’s lives. It is mentionable in this connection though the authorities are thinking about reducing subsidy by increasing gas price, they are very much reluctant to cut down the illegal connections. It is learnt that because of the illegal connections the rightful authorities are going through a huge amount of loss. Some corrupted employees of some gas distribution companies are giving illegal connections in exchange for heavy bribe. 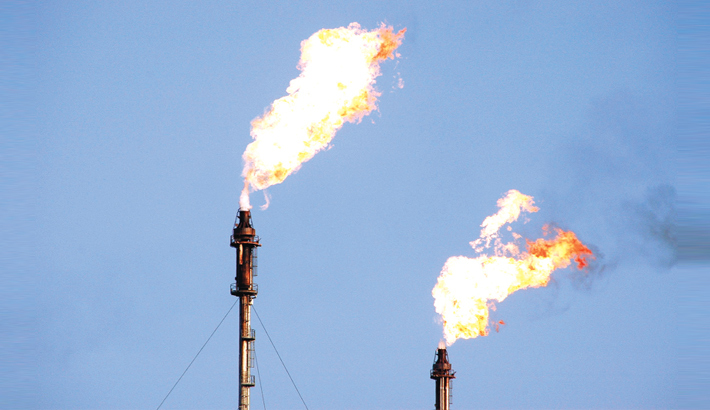 According to a report of Titas Gas Transmission and Distribution, 150 million cubic feet gas is being pilfered in Dhaka per day through 73,030 illegal gas connections while a total of 282.81 km gas pipeline is used for illegal use in industrial, commercial and residential establishments. Thus it is easily understandable that if illegal gas connection and system loss are taken into account seriously, the loss incurred by the companies will surely be less than the recent estimates. However throughout the four-day hearing that took place from March 11-14, the distributors were slammed for corruption, irregularities, and for giving emphasis on profits rather than improving services and bringing more consumers under their networks. To conclude, if the gas price is increased, people not only will have to pay extra money but it will ultimately affect the overall livelihood expenditure of the common people in many other ways. The concerned authorities should take this point into consideration. Besides, the irregularities should be addressed and fixed before taking any decision. Without solving the existing problems, increasing the gas tariff will only be an unwise and consumer-unfriendly decision.